Ending hunger with the ANC and the Economic Freedom Fighters. Farm workers need healthcare too. Pret a Manger, Pizza Express, and Strada don’t appear to have paid their taxes recently. The disease killing piglets in China and the United States. Why a recent paper by Tim Noakes on his high-fat, low carbohydrate diet, amounts to bad science. The US food stamp programme is about to have its budget cut. Aubergines will not cure colon cancer. Which is healthier: coffee or a smoothie? How Starbucks went from six cafes in 1984, to 18,000 outlets in 2013. Making crockery out of soil dug from San Francisco’s tenderloin. What really happened when Stella Liebeck sued McDonald’s for selling too-hot coffee. In fact, the Sriracha factory may well cease to function. Thieves steal baked beans – and other food heists. Where Lou Reed liked to eat. Why was so much vitriol directed at the most recent series of Great British Bake Off? Kitchen rules to live by. The language used to sell tomatoes. An interview with Nigella Lawson. Increasing numbers of graduates are becoming farmers. The recent crazes for kale and morogo. Understanding Korea through its food. The fish and chip shop with its own artist-in-residence. A cake in the shape of a unicorn. Fanny Cradock cooks an omelette. Bill Buford on Alain Ducasse. The fruit and nut exhibition at the Alaska Yukon Pacific Exposition (1909). How to make pentagram pie. A brief history of fake blood. Feed the Beast: the world’s only horror cake shop. The harsh lighting, the intermittent sounds of frozen fries being sunk into vats of oil and the frenzied behaviour of the counter staff invited thoughts of the loneliness and meaninglessness of existence in a random and violent universe. Why the price of bread fluctuates. The multiple causes of Colony Collapse Disorder. Uncovering the biggest food fraud of the twenty-first century. New York City’s unreliable food supply. Fructose is no better than glucose. One in eight people in the world goes hungry. The cruel conditions under which civet coffee is produced. What some vanilla flavouring is made out of. Tickbites that cause victims to become vegetarian. Using a 3D printer to cook. Why canned and frozen food is important. Does the continued existence of cows disproves the central tenets of capitalism? Fast food has slowed down. The science of jam making. The English Bread Book by Eliza Acton. Is it possible to live only on raw meat? Using recipe books to understand women’s friendships. How to make chocolate out of nothing. Guy Beringer, the inventor of brunch. The contents of Guardian writers’ fridges. Where to eat Malaysian food in London. What to do with quinces. One strategy to encourage a child to eat all of her food. How to make sugar roses. Lessons from the Goldman Sachs cafeteria. A history of Russia‘s problem with alcohol. The US needs a Robin Hood tax to fund food stamps. The largest food fraud in US history. Big Soda’s role in land grabs. Has China bought land in the Ukraine to grow food? Is it possible to produce foie gras humanely? A new supermarket which will sell only food past its sell-by date. Canada’s Maple Syrup Gang comes to a sticky end. Americans are eating three times as much cheese as they did in the 1970s. The researchers who tested Britain’s wartime diet. A fantastic web exhibition on recipe books, cooking, and domesticity. Chewing gum wrappers from Israel, Japan, and the United States. Arthur Guinness – of Guinness – was a spy for the British. John Darnielle of The Mountain Goats talks about goats. Appalling photographs of tinned meat. Charles Ranhofer, late nineteenth-century New York’s most famous chef. A loaf of bread from the first century CE. A fascinating interview with a recipe tester. The Senegalese roots of southern cooking. The best countries to be a vegetarian. What your coffee preference says about you. The rise of the water sommelier. Is it possible to trademark the name of a soup? Photographs of a week’s groceries in different countries. I first came across Marcella Hazan’s tomato and onion pasta sauce on Molly Wizenberg’s blog Orangette. I remembered it – like so many people, I imagine – because of its odd method: simmer a large tin of plum tomatoes in a pan with a peeled, halved onion, and five tablespoons of butter. This sounded so unlikely – so unlike any other recipe I’d ever read for tomato-based pasta sauce – that I was sceptical as to whether it would work. And since then I’ve found the same recipe on nearly every other decent food blog I tend to visit. I got round to making it last week, after reading so much about Hazan’s life in the incredible number of respectful, and even loving, obituaries and articles written after her death a week ago. The sauce is unbelievably good: it is rich without being sickly, fresh without being too sharp. My only suggestion is that you make it with very, very good tinned, or slightly overripe fresh, tomatoes. The writer I find most reassuring … is Marcella Hazan. This came as a surprise when I first started cooking from her. I had always imagined that since Italian cuisine, of all the major European styles, depends on pure and often speedy handling of the freshest ingredients, there was little room for manoeuvre. Hazan freely lists plausible alternatives; is indulgent about dried herbs; actively recommends tinned tomatoes as tasting better than most fresh; often prefers dried porcini and bottled clams to their fresh equivalents. She spares you suffering by noting which dishes can be cooked to which stage ahead of time. Marcella Hazan was beatified. Her recipes not only give the anxious Pedant as much latitude as possible, they also produce, in my experience, a higher percentage of successes, and a truer authenticity of taste, than any I know. What struck me in so much of what I read about her – other than her two doctorates, one in biology and natural sciences – is how often she was described as translating Italian cooking for American kitchens. When she moved to the United States with her husband in 1955, Hazan not only needed to learn how to cook, but she had to find ways of recreating the dishes of her native Italy in a country which didn’t sell the ingredients she needed. Combined with formidable teaching skills and a deeply practical attitude towards cooking, the knowledge she acquired while teaching herself to make familiar foods in an unfamiliar culture, transformed her into an authority on Italian cooking for American audiences. 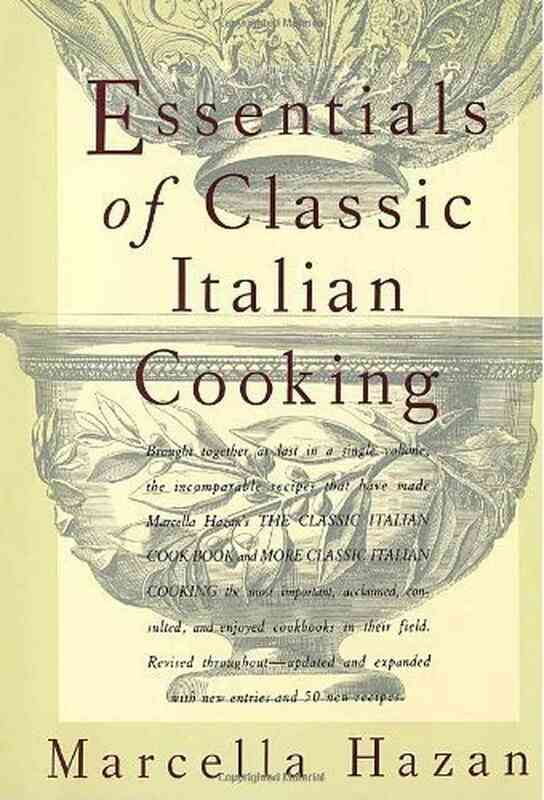 The reason for her success – which began with the publication of The Classic Italian Cook Book: The Art of Italian Cooking and the Italian Art of Eating in 1973 – was not that she wrote down recipes as she would have cooked them in Italy, but that she adapted them for how Americans shopped and cooked. It is this which Barnes praises: her willingness to use a range of processed or not-particularly-Italian foods which, she felt, recreated the ‘authentic’ (whatever we may mean by that) taste of home. 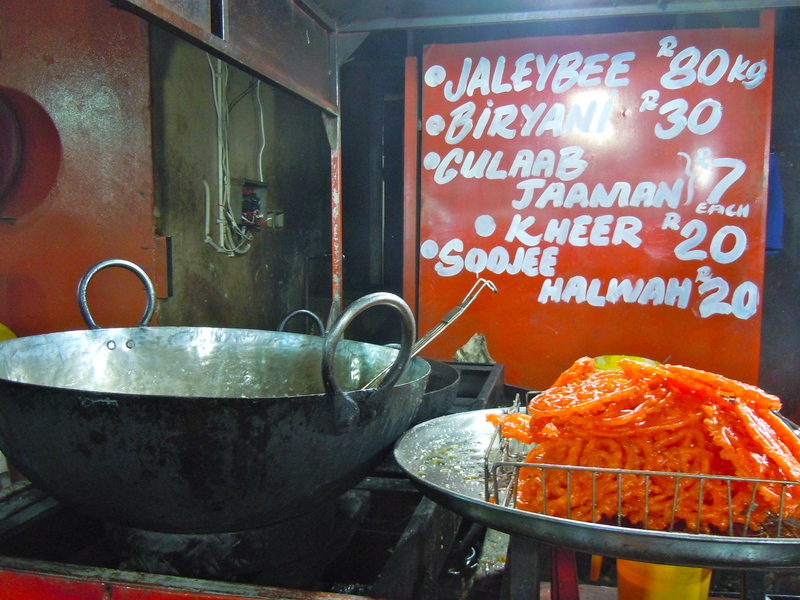 Cooks have long been involved in making national identities. Encarnación Pinado’s El cocinero español (The Spanish Chef), published in 1898, was an attempt to establish an ‘authentic’ Mexican cuisine. Similarly, shortly after Italian union, Pellegrino Artusi manufactured a ‘real’ Italian food culture in his 1891 book La scienza in cucian e l’arte di mangier bene (The Science of Cooking and the Art of Eating Well). These recipe books were intended partly to explain to Mexicans and Italians what constituted their national cuisines. Food is a potent means of uniting a nation, particularly if that nation happens to have been recently made. As obvious as it sounds, it’s worth paying attention, too, to those food writers who translate their cuisines mainly for foreign audiences. In a way, food writers become culture brokers: the people who mediate between different cultures, who explain and translate one group to another. Although Hazan found an enthusiastic audience of Italians at home, she is remembered for having introduced America to ‘real’ Italian cooking. I think, though, that she mediated far more than food. As Elizabeth David and Julia Child did for France, Claudia Roden did for the Middle East and Mediterranean, Madhur Jaffrey did for India, and Ken Hom did for China, she introduced Americans to a version – to her version – of Italy. When they read her books or watched her on television, they also learned something about Italy. So when we think of the complicated ways in which national identities are created – and these are made in a tension between internal and external perceptions of a particular country or political entity – we need also to include those food and recipe book writers who translate and mediate the cooking of one group of people to another. How do they represent one nation to another? Why do they emphasise some aspects of a nation’s cooking, and not others? And to what extent do they tailor their writing to fit or complement pre-existing stereotypes about other countries? Destoying meals and wasting food for picturesque effect. Remembering Marcella Hazan: she had two doctorates; she introduced Italian cooking to the United States; she was an excellent teacher; she ‘gave confidence‘ to Julian Barnes; and her famous tomato sauce. Charles Standing and Sonia Cabano are organising a food and forage day on 12 October. They’ll forage for food in the Cape Town CBD and Sea Point, and will then return home to cook the spoils. Get in touch with Charles if you’d like to go along. Children in some Cape Town schools are going hungry because the Peninsula Schools Feeding Programme lost its tender to provide meals. What the Republican vote to cut the food stamp programme, and support for the Farm Bill, says about the state of the party. The South African cabinet has approved a bill to ban alcohol advertising. Hunger is not caused by overpopulation. How calcium can increase maple syrup production. Fact-checking Dr Oz’s dubious claims about superfoods. Rachel Laudan’s six essential texts for writing a global history of food. Where to eat in Shanghai. The London Review of Breakfasts samples a cronut. The Mail and Guardian‘s restaurant critic reflects on his first five years of reviewing. The appeal of the hotel minibar. Frank Sinatra in his $100,000 kitchen. Why Szechuan pepper makes your lips tingle. ‘There are more breakfast taco establishments in Austin than there are Starbucks in Manhattan’. The world’s biggest Halal food festival. A bottle of beer that costs $2,000. Words food writers should be banned from using. How to make sourdough bread. GQ‘s selection of the best things to eat and drink in the US. Hall’s Coca Wine: The Elixir of Life! A bar named after Christopher Hitchens. Moon farms to banish starvation. Facts about the Food Network. A photograph of Truth Coffee, Cape Town’s steampunk cafe. Mini M, the permanent pop-up supermarket.